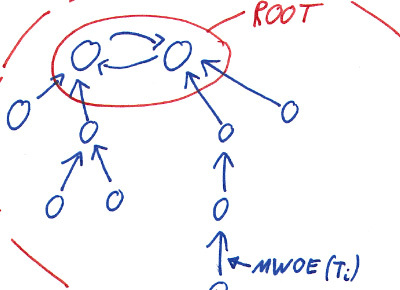 I develop and analyze efficient algorithms for distributed networks. 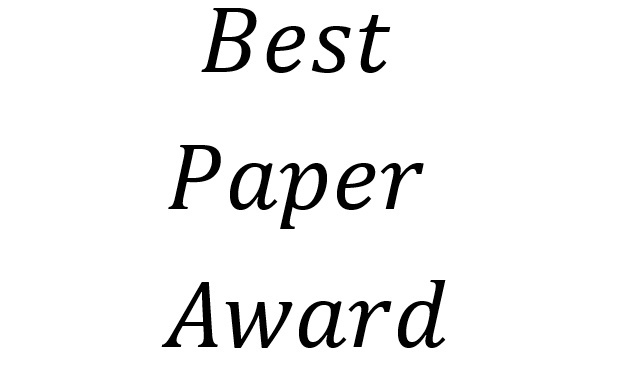 With my co-authors Lilika Markatou and Magnus Halldorsson I received the best paper award at the 24th International Colloquium on Structural Information and Communication Complexity for our paper “Leader Election in SINR Model with Arbitrary Power Control”. The conference will take place June 19-22 2017 in Porquerolles, France. April 2017: Plenary Talk at the General Assembly of the Academy of Science and Literatur | Mainz, Germany. 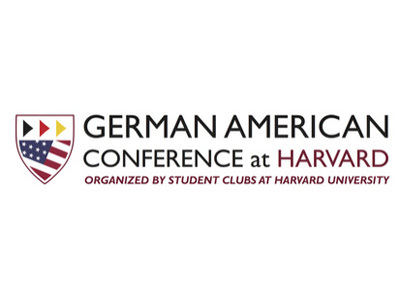 November 2016: TED style event at German Consulate General in Boston, invited by German American Business Council, Boston, USA. September 2016: invited talk at the 5th Workshop on Advanced Distributed Graph Algorithms, also in Paris. 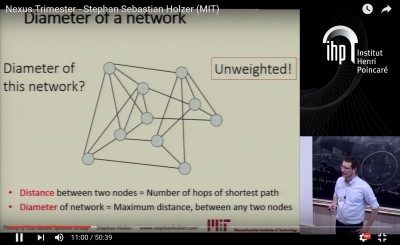 February 2016: invited talk at the NEXUS workshop at Henri Poincare Institute (IHP) in Paris hosted by Cedric Villani (see video link below). I am on the program committees of the 28th ACM Symposium on Parallelism in Algorithms and Architectures 2016 (SPAA) and of the 17th International Conference on Distributed Computing and Networking 2016 (ICDCN) and the 18th International Symposium on Stabilization, Safety, and Security of Distributed Systems (SSS 2016). In March 2016, I was selected to be one of 36 members of the Young Academy of the Academy of Sciences and Literature | Mainz in Germany (Junge Akademie der Akademie der Wissenschaften und der Literatur | Mainz). 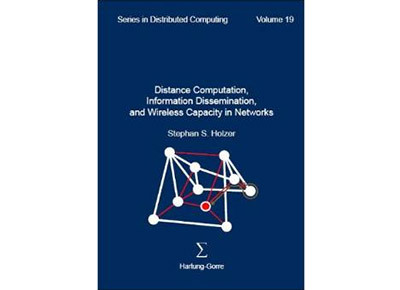 Distance Computation, Information Dissemination, and Wireless Capacity in Networks. 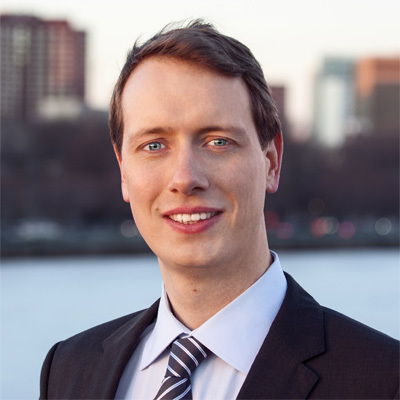 This dissertation focuses on theoretical and algorithmic aspects of distributed networks. 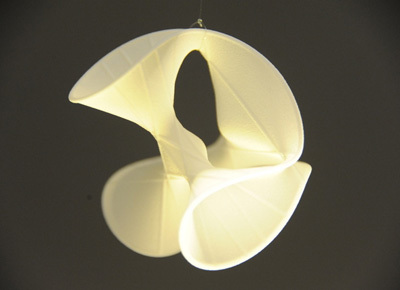 A new course at MIT created together with Mohsen Ghaffari and Nancy Lynch. In this small course (1 lecture/week), we study the basic techniques for designing, analyzing, and proving the limitations of distributed graph algorithms. 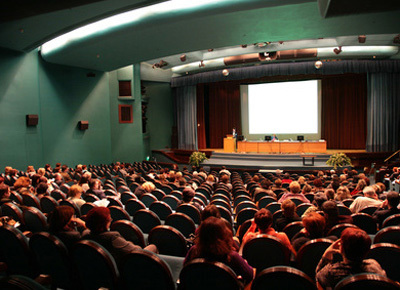 The course is technique-oriented and targets graduate students. 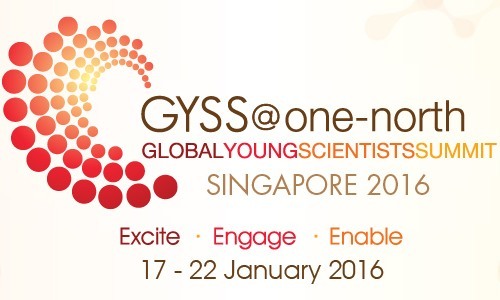 I was nominated by MIT and selected as one of 2 MIT postdocs to meet 21 Nobel laureates, Turing laureates, Fields laureates and Millennium laureates at the Global Young Scientist Summit (GYSS) 2016 in Singapore. Jukka Suomela animated the algorithm from our paper Optimal Distributed All Pairs Shortest Paths and Applications for his lecture. 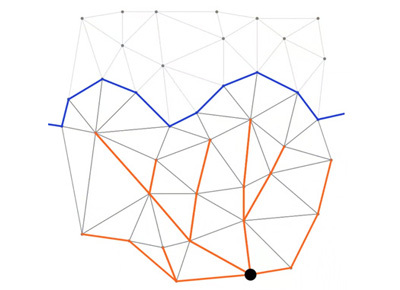 This algorithm computes shortest paths between all pairs of nodes in time O(n) in the CONGEST model, which we proved to be best possible. 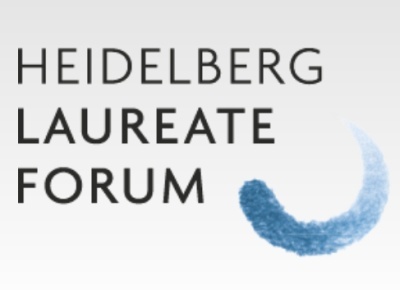 I was selected to participate in the first Heidelberg Laureate Forum, in which about half of the living Abel, Fields and Turing laureates meet the next generation of promising researchers (200 selected world wide). I also had the pleasure to give an interview in advance. [Heidelberg Laureate Forum website] [Interview]. 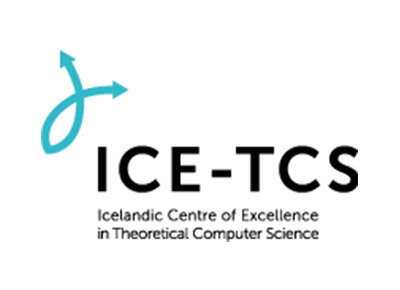 I was invited to deliver a keynote at the 9th annual Theory Day of the Icelandic Center of Excellence for Theoretical Computer Science. Benjamin Dissler, Stephan Holzer and Roger Wattenhofer. Stephan Holzer and Nancy Lynch. Magnús Halldórsson, Stephan Holzer, Lilika Markatou and Nancy Lynch. Theoretical Computer Science (TCS), 2019. Magnús Halldórsson, Stephan Holzer and Roger Wattenhofer. SIAM Journal of Computing (SICOMP), June 2017. Magnús Halldórsson, Stephan Holzer and Lilika Markatou. 31tst International Symposium on Distributed Computing (DISC), Vienna, Austria, October 2017. Stephan Holzer, Thomas Locher, Yvonne Anne Pignolet and Roger Wattenhofer. Journal of Computer and System Sciences (JCSS), August 2017. 30th International Symposium on Distributed Computing (DISC), Paris, France, September 2016. Stephan Holzer and Nathan Pinsker. 19th International Conference on Principles of Distributed Systems (OPODIS), Rennes, France, December 2015. Magnus Halldorsson, Stephan Holzer and Nancy Lynch. 34th Annual ACM SIGACT-SIGOPS Symposium on Principles of Distributed Computing (PODC), San Sebastian, Spain, July 2015. Stephan Holzer, David Peleg and Liam Roditty and Roger Wattenhofer. Stephan Holzer and Sebastian Kohler and Roger Wattenhofer. Alexandra Hochuli, Stephan Holzer and Roger Wattenhofer. 21st International Colloquium on Structural Information and Communication Complexity (SIROCCO), Hida Takayama, Japan, July 2014. Magnus Halldorsson, Stephan Holzer, Pradipta Mitra and Roger Wattenhofer. 24th ACM-SIAM Symposium on Discrete Algorithms (SODA), New Orleans, Louisiana, USA, January 2013. Christof Baumann, Stephan Holzer, Miguel Rodriguez and Roger Wattenhofer. 4th ACM Workshop On Embedded Sensing Systems For Energy-Efficiency In Buildings (BuildSys), Toronto, Canada, November 2012. Atish Das Sarma, Stephan Holzer, Liah Kor, Amos Korman, Danupon Nanongkai, Gopal Pandurangan, David Peleg and Roger Wattenhofer. SIAM Journal on Computing (special issue of STOC 2011), November 2012. Stephan Holzer and Roger Wattenhofer. 31st Annual ACM SIGACT-SIGOPS Symposium on Principles of Distributed Computing (PODC), Madeira, Portugal, July 2012. 24th ACM Symposium on Parallelism in Algorithms and Architectures (SPAA), Pittsburgh, Pennsylvania, USA, June 2012. Stephan Holzer, Yvonne-Anne Pignolet-Oswald, Jasmin Smula and Roger Wattenhofer. Theoretical Computer Science (special issue of ALGOSENSORS 2009 + 2010), January 2012. Silvio Frischknecht, Stephan Holzer and Roger Wattenhofer. 23rd ACM-SIAM Symposium on Discrete Algorithms (SODA), Kyoto, Japan, January 2012. Stephan Holzer, Yvonne Anne Pignolet, Jasmin Smula and Roger Wattenhofer. 6th International Workshop on Algorithms for Sensor Systems (ALGOSENSORS), Wireless Ad Hoc Networks and Autonomous Mobile Entities, Bordeaux, France, July 2010. 29th Symposium on Principles of Distributed Computing (PODC), Zurich, Switzerland, July 2010. Stephan Holzer and Oliver Labs. Algebraic Geometry and Geometric Modeling. Springer Verlag (as an undergrad student). Volume 19 in the Series in Distributed Computing, pages 1-247, 2014. Hartung-Gorre. Wie verteilt sich Wissen und Macht in Netzwerken? Lecturer and creator of this new course in collaboration with Mohsen Ghaffari and Nancy Lynch. Lecture Notes. Teaching assistant. Also created new lecture on Hard Problems, the corresponding problem set and solution in collaboration with Roger Wattenhofer.